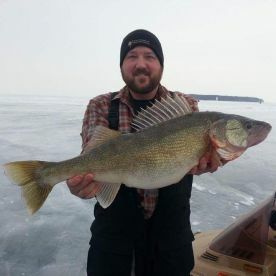 Lake Erie ice fishing is a dream come true for those who simply can’t get enough of the Great Lake. 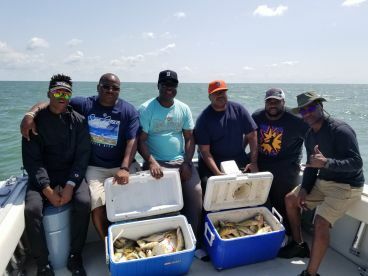 When the majority of local anglers sit home and think about their next Lake Erie season, true ice-fishermen get out to the lake and fish. Just think of the thrill of pulling trophy Walleye or Perch through the ice hole… How can you miss the opportunity? 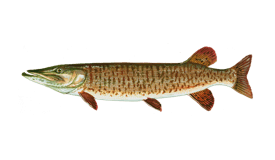 When should I try ice fishing in Lake Erie? Whenever the prolific waters of Lake Erie freeze, the season has potential to be solid gold. But ice coverage can be inconsistent, so you never know whether you will be making awesome catches this year. When the weather cooperates, the lake is covered with ice. The magic usually happens from January until late February. 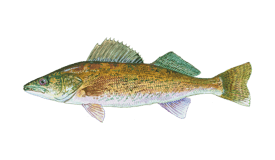 Walleye and Perch stay close to shore early and later in the season. During mid-January, they usually hang out around the Lake’s many islands. 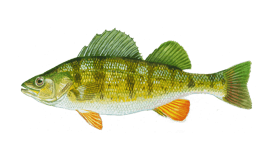 You can find your Walleye and Perch 10 miles and further from many of the access points. When heading out to Lake Erie during the winter months, it’s vital to remember that the ice deserves extreme caution. It goes without saying that you need a local guide to have a safe adventure. The recipe for a good trip is a combination of the right means of transport, a local professional, and the gear. Snowmobiles are the most common type of vehicle. However, if you decide to bring your fishing buddies and a lot of equipment with you, snowmobiles can be somewhat limiting. Airboats, on the other hand, provide more space. They are one of the safest options, but can be tricky to control in high winds. And Erie is famous for its winds like no other lake around! 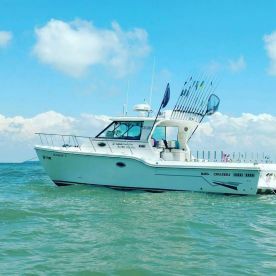 Plus, you can always just walk out and fish earlier or later in the season when the bite is nearshore. 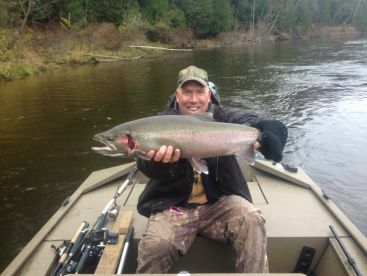 As soon as you’ve found the right guide, you can head out, drill a hole, and start fishing. Navigational and fish finding electronics are not the most necessary part of the process. 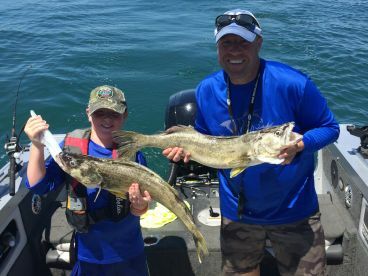 However, it’s not a secret that the bite of the lake’s migratory Walleye can be unpredictable. Use a good sonar and a camera to check what’s hiding under the ice. Believe it or not, underwater cameras can do magic and save your time. It’s like playing videogames while fishing! 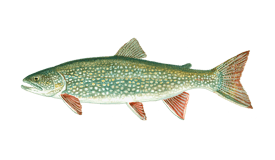 Use spinning rods and reels, as well as jigging spoons designed for ice-fishing. 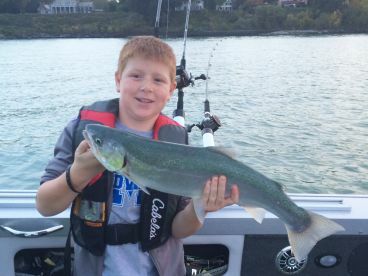 When choosing a right color for the lure, go for whatever catches your eye - most colors will work. 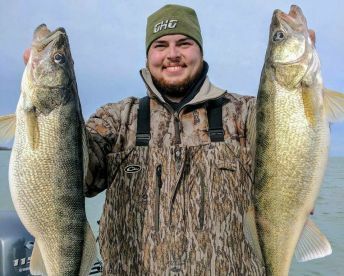 When the keeper Walleye or Perch get close to the hole, it’s fish on. 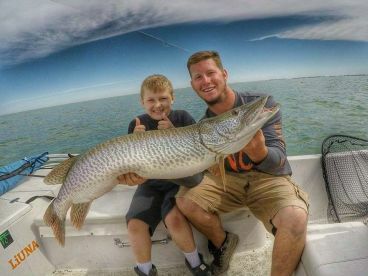 Lake Erie ice fishing season usually begins in January, as soon as the waters are covered in ice, and goes through February.